I'm starting this new topic for my neighbor Craig, as he hates computers. But I persuaded him to allow me to post his new ZP build to share with others. 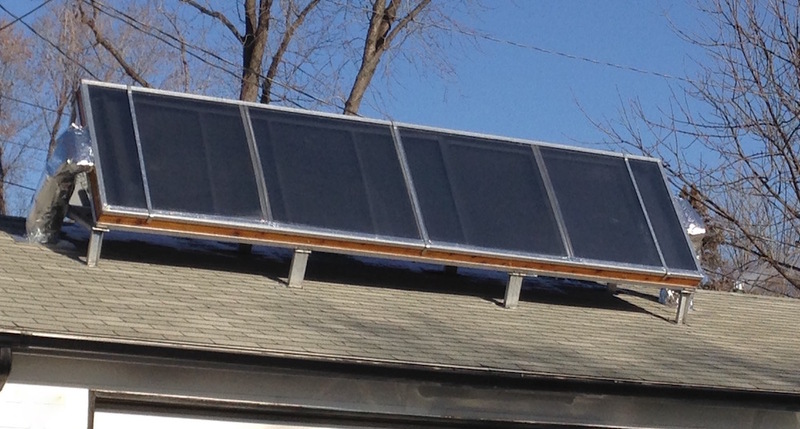 He proceeded to build this beauty without ever seeing a solar heater in action to verify the concept even works! He was thrilled with the results and is now a firm believer in solar heat and loves showing off his collector to anyone that will listen. He has not needed to use the gas furnace the past two winters. He can work in the shop in a tee shirt, even when it is below zero outside as long as the sun is out. 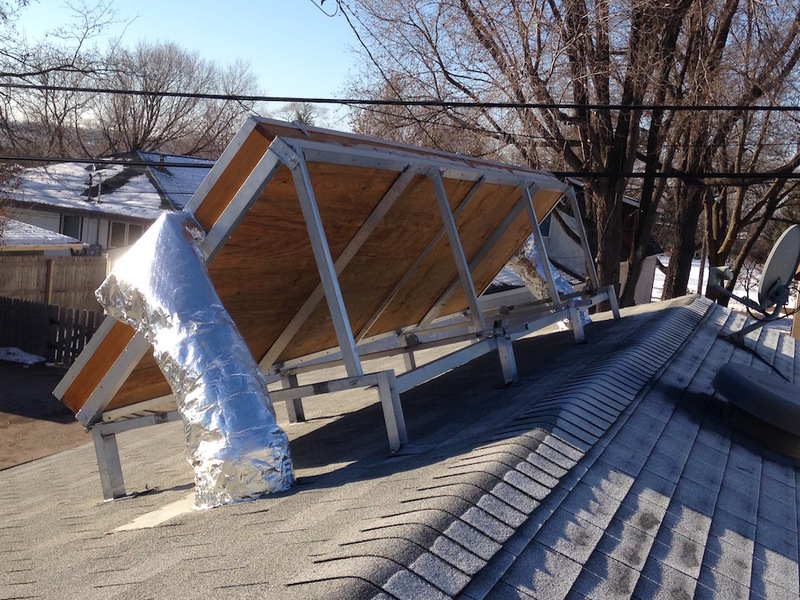 Like many of us, his head started spinning with ideas for his "next" solar heater for the house. His first ZP build was essentially a copy of my ZP design, as I assisted him with this build. But Craig has his own way of doing things as you can tell by the beautiful cedar sides and industrial strength hinged stand. 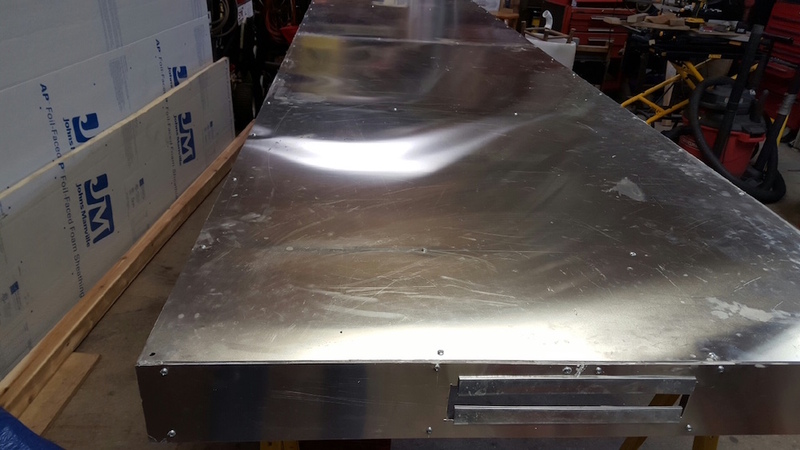 Craig’s new ZP build uses 1” aluminum square tubes with ⅛” thick walls, covered with an aluminum skin on all sides. He originally wanted to use my self-tensioning frameless screen idea, but has switched to using aluminum screen frames from the store after several frustrating attempts. The frameless screens idea works, but not if you need to be able to adjust the screen gaps too. He may still attempt frameless screens at a later time. So for now this new ZP will be testing to find if a 1” screen gap is the optimal gap, or if a slightly larger gap will improve performance while allowing better air flow. At some point the heated screens won’t be close enough to the main flow of air for effective heat transfer. We devised an easy way to change the screen gap in ¼” increments to find out. 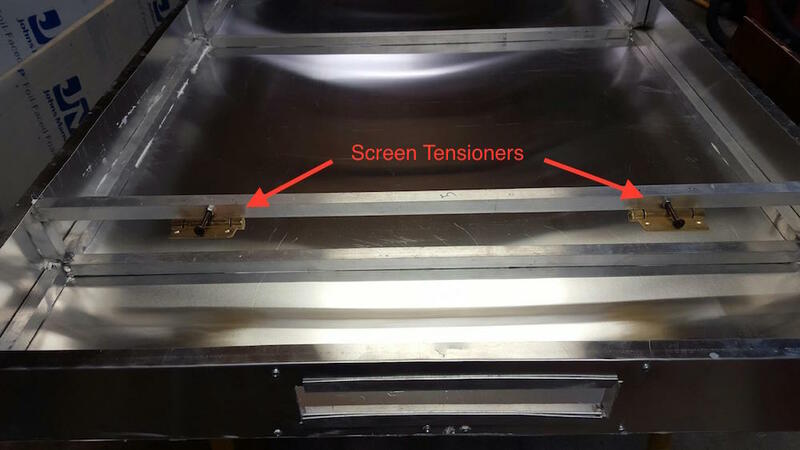 Adjustable tension, self-closing hinges, were going to be used to pull the screens tight. But they will not be used at this time, instead Craig will be using standard aluminum screen frames. 1” polyiso fit between the aluminum frame. 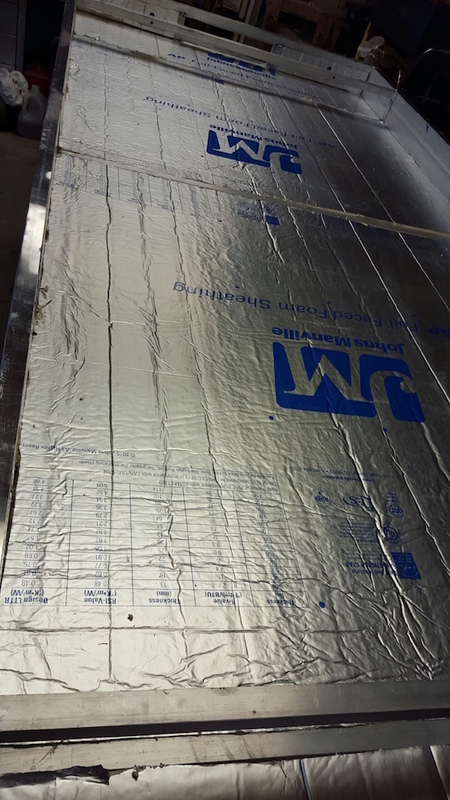 A layer of ½” polyiso will cover this before the screens are placed. The collector is incredibly light. You can lift the entire 4’ x 16’ unit quite easily. Wow! That's pretty and shinny. Will be interesting to see his progress, especially since I will be starting a ZP soon. Hope it works out well for him. 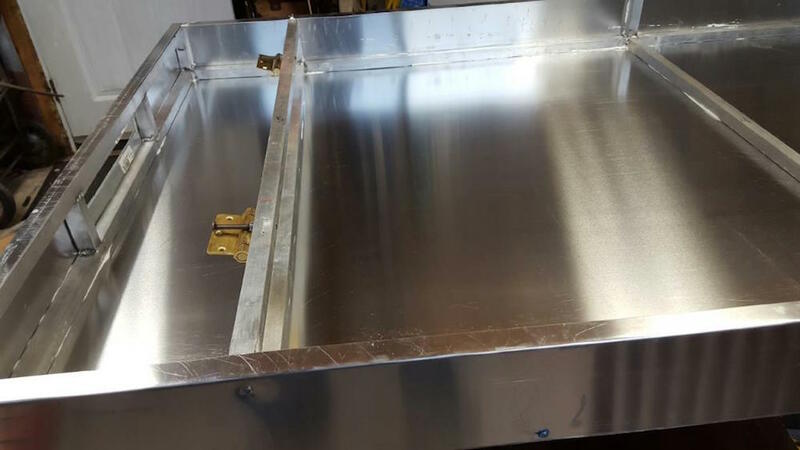 How was the square aluminum stock welded? Alumaloy? Is this a replacement for the original collector or to heat the house? How was the top lip bent? Even stud track does not look that good. Yeah, it helps to have friends in high and low places...It almost looks like a sports car. The square stock is welded. Alumaloy has about 3x the tensile strength of a good epoxy. It might be good for many types of joints and repairs, but it's not the right thing for something so large. I might consider using something like Alumaloy on a lightweight 4x8 collector, especially if it is permanently mounted. This will be a new addition to the house, The current ZP is plenty enough unless you want to work in shorts in your workshop. The back and sides are made from a .04 sheet of aluminum that was bent on a brake. It's a bit heavier gauge than I would have used, but after all experiments are finished it will be hoisted upon the roof to its new home. So a lighter weight isn't so much of an issue. Craig has a new system for mounting and sealing the glazing that people are going to want to consider too. I hope to have more photos in a few days. Thank him for me for allowing you to post his build! Does the air flow through the screen or between the screen and the back of the collector? I have a 2 screen pass through collector which works well but is not large enough to heat my 450SF shop...hope to accomplish that for next winter.Any additional design info/sketches would be great. Thanks and great job!!! Matt finally had a sunny day today. I'd expect him to post more results soon. Yup I just got around to posting some observations from the other day. I'm happy. Krautman's new ZP is now painted, so all that remains is building a stand and to mount the thermometers and glazing. Looks like a cloudy week ahead, but hopefully by next week end she will be ready for testing. Greg - how does that screen tensioner work - it looks like a door hinge and hinge pin?